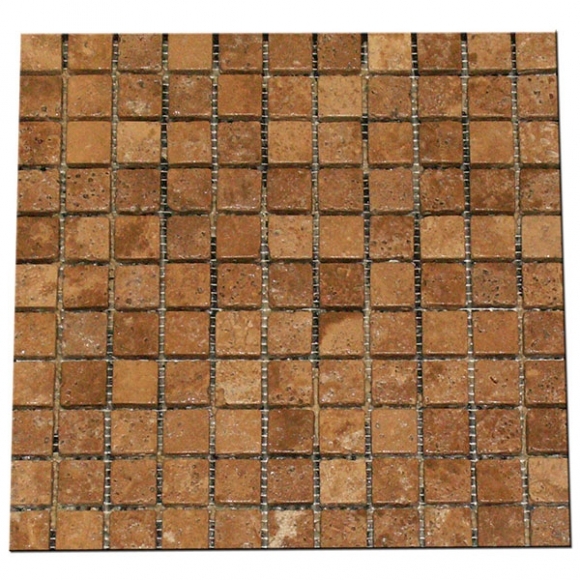 This is a great example of mosaics used in a decorative piece. 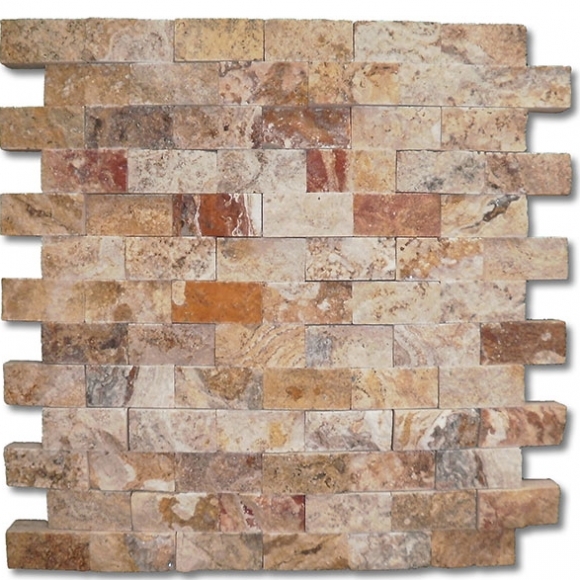 This is all done in Leonardo and you can see the split faced up the wall with the 2×2 mosaic at the top of the wall tile finished off with Ogee on top and Bullnose at the bottom of the 2×2’s. 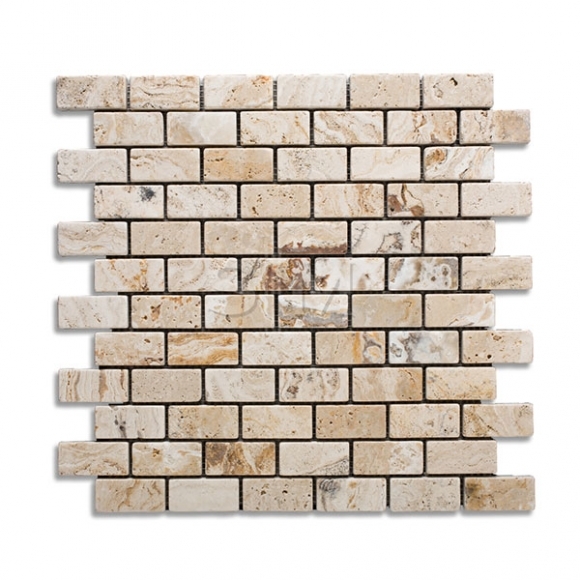 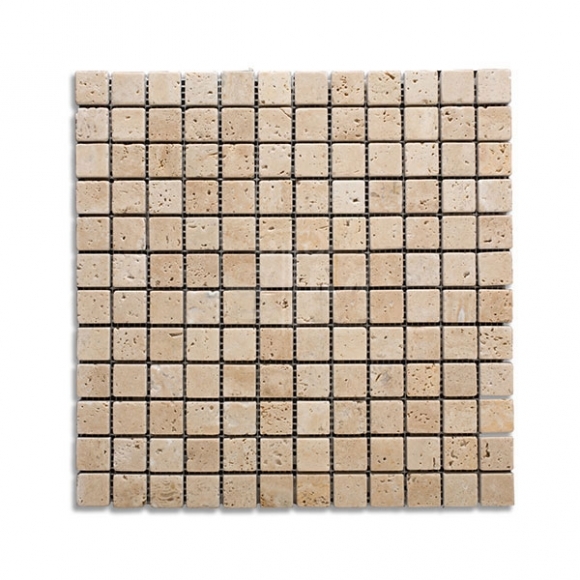 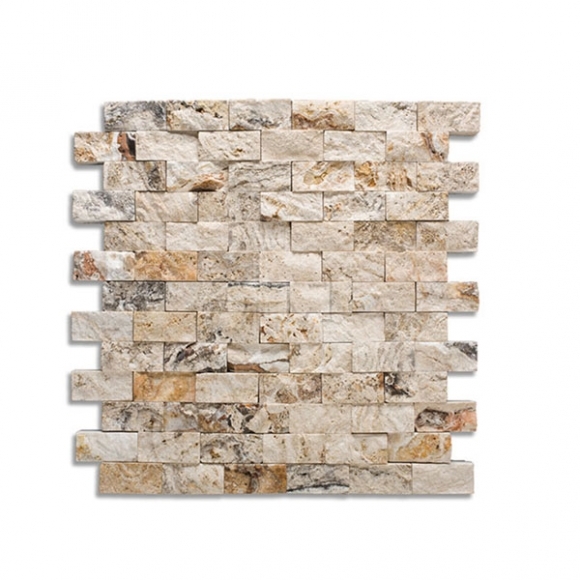 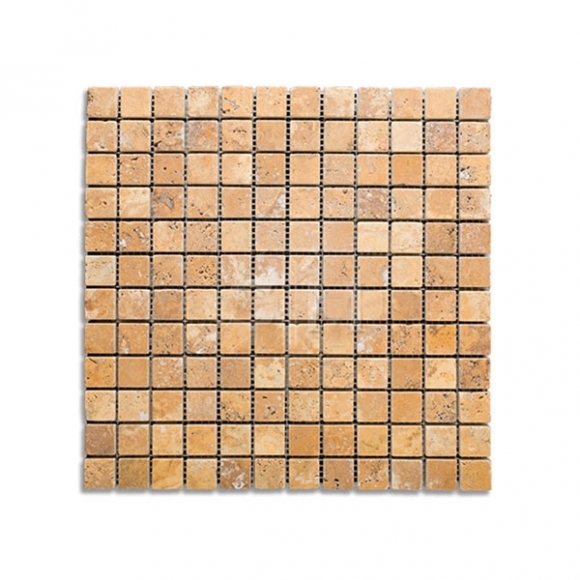 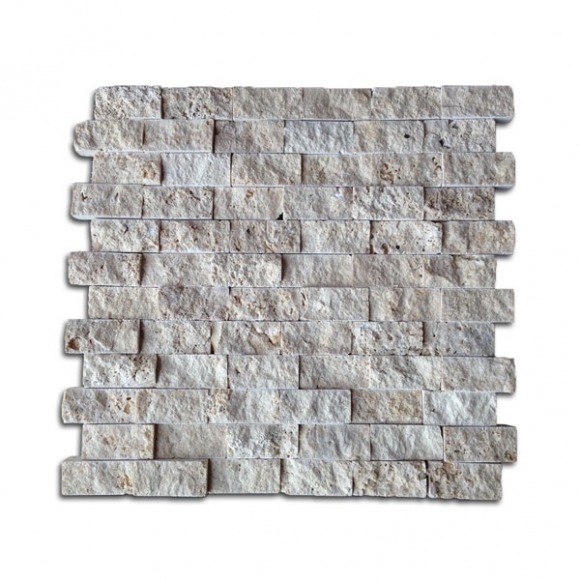 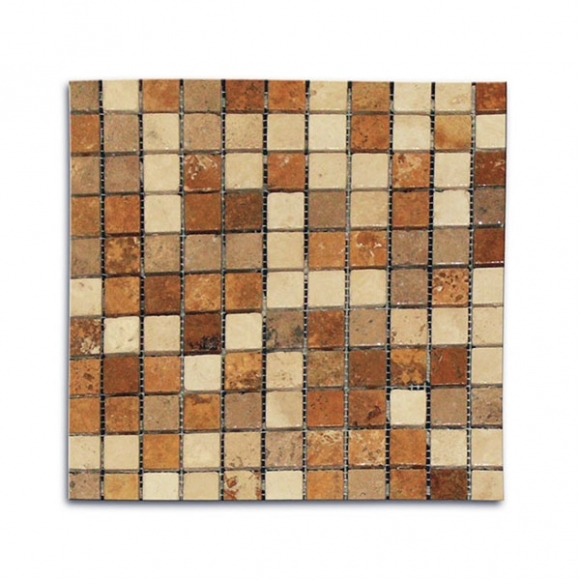 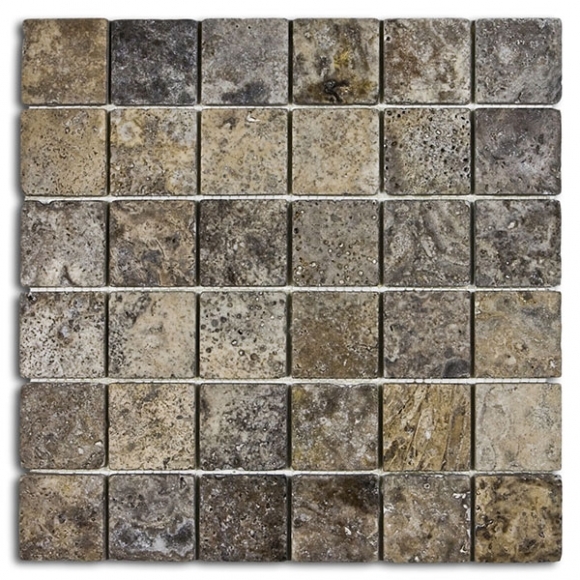 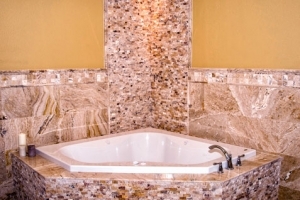 Travertine Warehouse offers a wide variety in travertine mosaics. 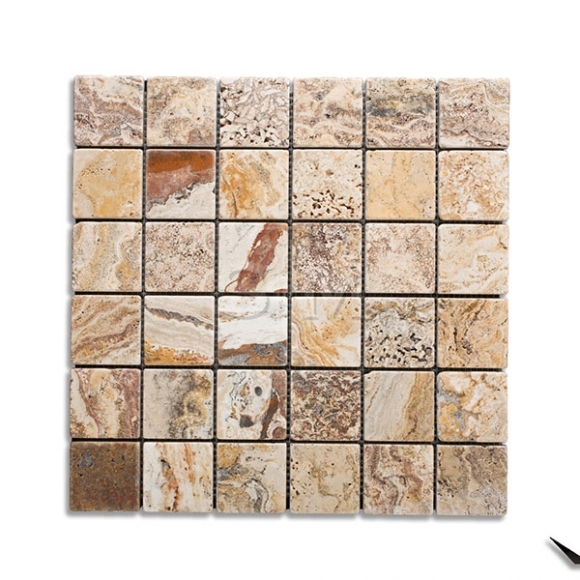 Although usually smaller in size each piece is finely crafted to fit as a field tile, accent tile or decorative tile piece. 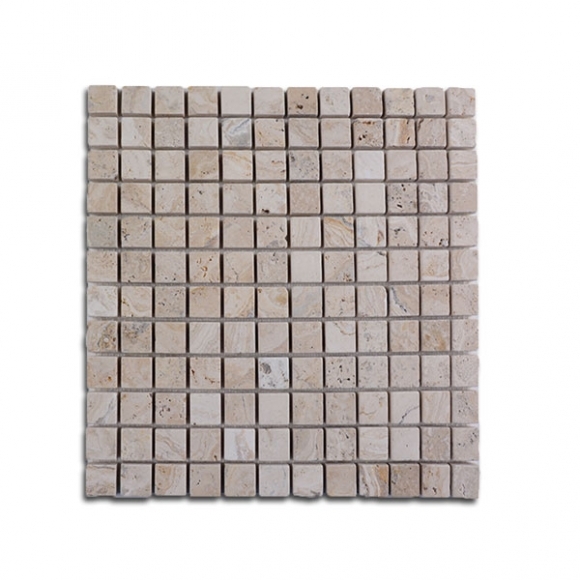 For our smaller sized pieces such as 1×1 or 2×2 mosaic tiles they come on a meshed backing for ease of handling and use. 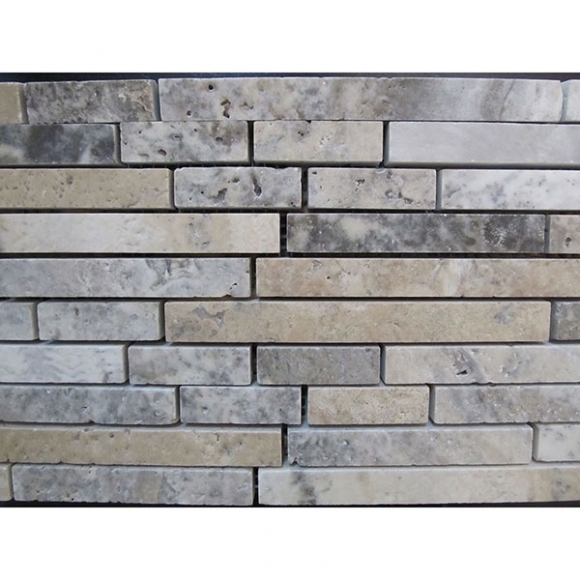 Travertine tumbled mosaic tile can be used as an interior wall finish, but also as an exterior wall cladding as well as to finish out, your patio pool bar, grill or even to wrap columns.